Our basic Microfiber Dorm Rug is our solution to the typical uncomfortable cheap dorm rug. Sure this rug is cheap in price, but it provides a comfort and quality your dorm room needs. After all, if you are going to add a dorm rug to cover your cold, dirty floor, you might as well make the rug something you enjoy walking on or for that matter even sitting on. Most cheap dorm rugs are rough to the touch and believe it or not they are made of plastic! They don't look or feel exactly like your typical plastic water bottle, but just the same they aren't exactly what you want on your dorm floor for the entire semester or year. When shopping for a dorm rug, if it says 'Polypropylene' or if the material is not listed you can bet it is a made of plastic. Dorm Co believes your dorm deserves better and our Microfiber Dorm Rug is the cheap college carpet that you are searching for! 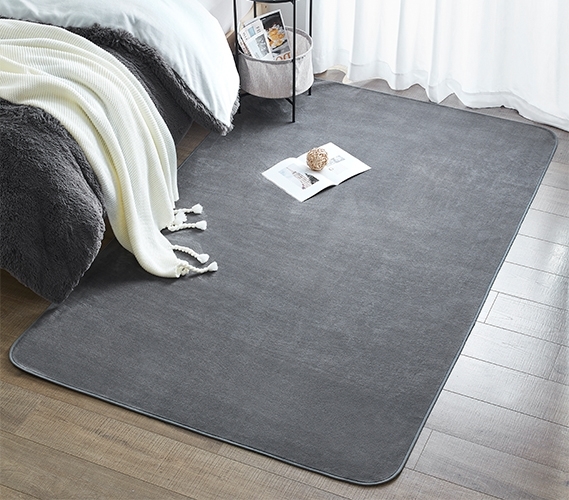 The Microfiber Dorm Rug is made of 100% soft to the touch microfiber. This dorm rug provides actual cushion and softness you can feel. The bottom has non-slip gel beads to ensure your rug doesn't slide around or worse, cause you to slip. The quality construction also consists of tapered edging to keep the rug from fraying or unraveling. 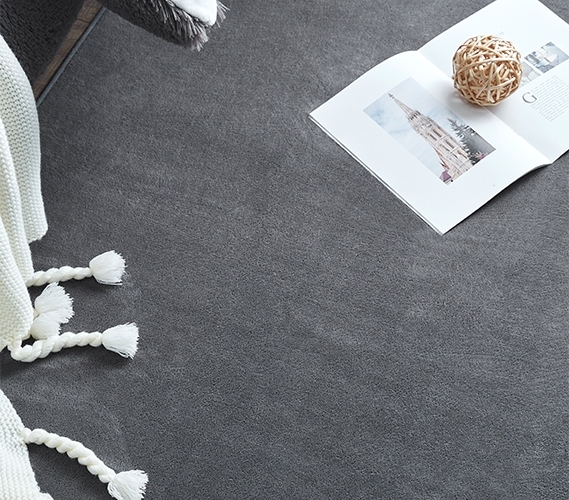 It's the little details that make this dorm carpet a quality option at a cheap dorm price. Our Microfiber Dorm Rug is offered in our popular colors: Navy Blue, Black, Pink, Steele Gray & Chocolate Espresso. All colors are ideal for college dorms where floor comfort and coverage are essential. Choose the dorm rug size that fits your room best. The Microfiber Dorm Rug is available in the following options listed below. Next to each option is an explanation of how much dorm floor space that particular size will take up. This should help assist you in purchasing the correct size for your dorm room. 5 x 8 - Top Selling Dorm Rug Size. Covers the open floor without having to pick up all your furniture up to get it to fit. 6 x 9 - Will take up all of your open college dorm floor and even some under your desk or bed. Dorm rugs are a college dorm room must have!